The Seventh Annual Fall Finale Fifty-ish Mile Country Path Ramble rolls out at 9 am on Saturday, November 14…less than 4 weeks from now. This post is to remind those of you who might be considering joining us to make a decision, make a plan, invite your friends, and come on out. This post is also for folks who haven’t joined us before…to explain what it is we do. Veterans of the ride have a pretty good idea on what to expect. In many ways, this year’s ride will be very similar to what we’ve typically done for the last few years. This year’s Ramble will be on Saturday, November 14. We will roll out of my driveway at 9 am. That means you should arrive in time to make all needed preparations BEFORE 9 am. The Ramble is a ride I do each year on a Saturday near the end of autumn. 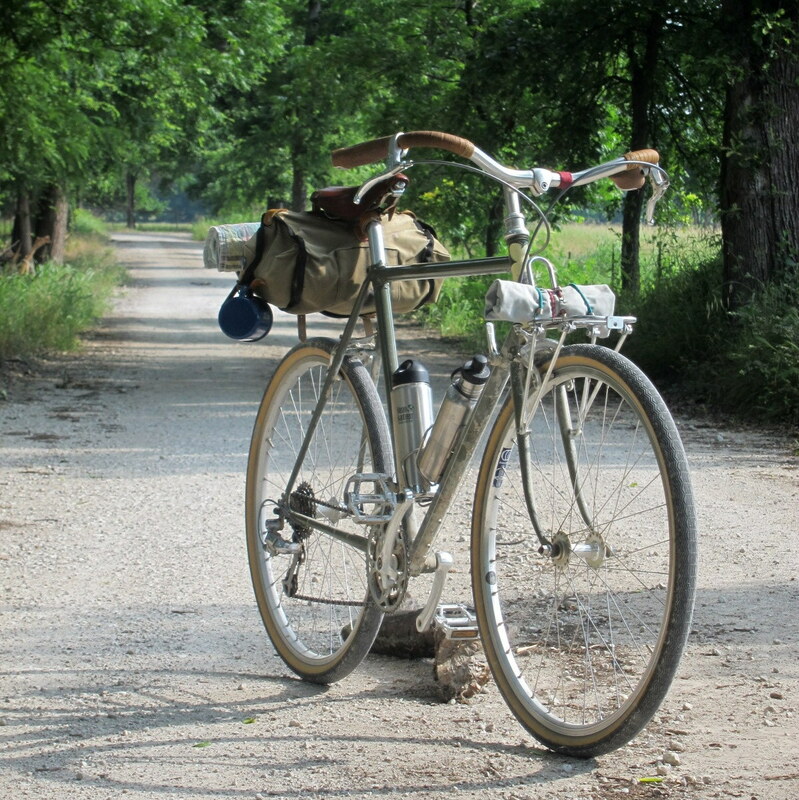 The primary objective is to spend a few hours riding a bicycle with others on rural north Texas roads. A goodly fraction of the route is on gravel roads. Historically, it’s length has been in the 40-50 mile range. See historical Ramble reports for a little more insight (2011,2010, and 2009). The ride report for last year is HERE. This year’s route, weather permitting, will be the same as last year. There will be two options. The standard route which includes the communities of Greenwood and Rosston is approximately 50 miles. The shorter optional route is smaller loop-within-a-loop that bypasses the two communities (so no services at all) and is roughly 35 miles long. The pace is what I call “conversational” because I think of this as a social kind of touring ride. We will stop for snacks, photographs, or just because. Since I’m participating in the Coffeeneuring Challenge, and Ramble weekend is the last Coffeeneuring weekend, I am definitely planning to stop for a coffee brew-up. Like last year, I plan to have cue sheets available for those who might wish to ride faster or slower than me. The other thing to emphasize for this ride is that you are responsible for you. This is not a T-shirt ride, there are no entry fees, and no sag services. We’ll have a couple of places to stop for restroom, water, or snacks. The first opportunity is Greenwood at approximately mile 18, and the second is at Rosston at approximately mile 28/29 or so. Really, there might only be one restroom stop. At my last visit, the Rosston store restroom was out of order. The owner hoped to have it fixed, but wouldn’t commit to it, so plan accordingly. You should have a back-up plan for a mechanical problem, and beware…some areas on the Ramble route do not have cell phone service. Yes, it’s rural. 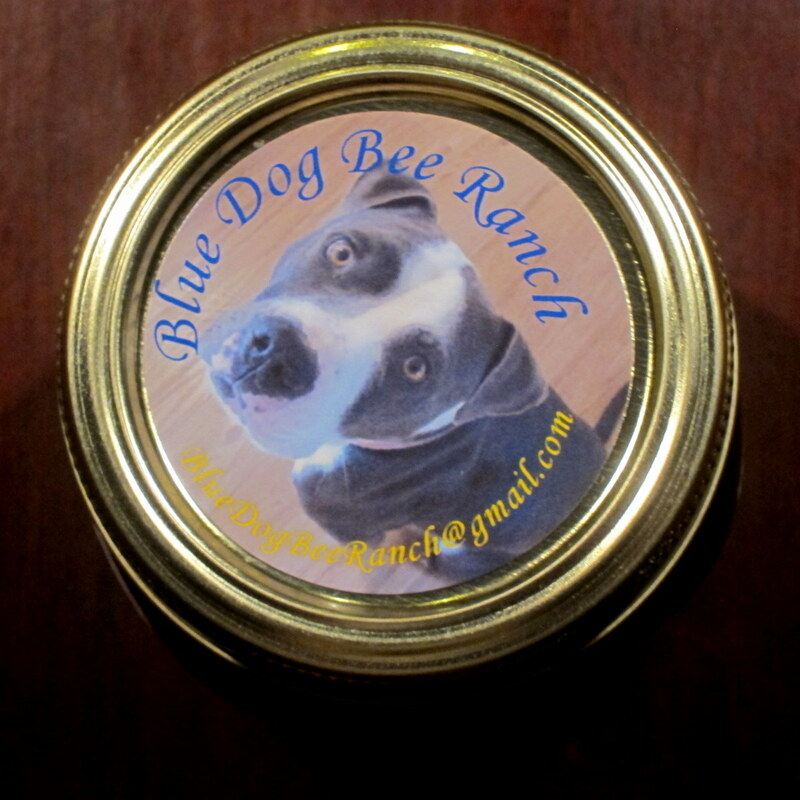 First, Mrs. Pondero plans to have a few jars of her exclusive Blue Dog Bee Ranch honey available for sale. Probably due to the very wet spring, the honey is a little darker this year. We love it. Mrs. Pondero says this is the honey they serve in heaven. Half pints at $10/jar and Full pints at $18/jar. Also, Mrs. Pondero and I are planning a post-ride early dinner at Miguelito’s in Sanger. If you don’t need to rush back to the big city, please meet us there. I would love to join your Ramble this year on Nov. 14th. I’ve never ridden with you before. How can I get involved? Great to hear, Hilary. Just send me an email and I’ll answer any question you might have. Hint to Hilary. For Pondero’s email address, click on the “home” button. Then scroll down until you see “PRIOR VERSION OF PONDERO From 2007 through December 17, 2012…” on the right and enter that url. If you then click on his profile, he lists his email therein. Alternately, maybe he’ll list it in a reply to this reply! Presumably spam robots won’t be able to follow these instructions, though real humans might have trouble as well. Unfortunately, I don’t think I’ll be back in North Texas by November 14th, but the Ramble is WELL worthwhile! We want a 10oz jar of honey! See you there. As I can’t participate, I kindly ask you, Chris, that you eat one extra breakfast Taco and slug a cuppa Java, on my behalf. Have a Great Time y’all. Chris, my wife Linda and I plan on riding. We’ll see you on November 14th. Looking forward to the “ramble”. I was looking forward to NOT breaking a crankset for this year’s ride. However it is the same day as a WWII reenactment in Waxahachie that I always get the opportunity to photograph from inside the battle. I have no doubt that the ride will be lots of fun without me! Looking forward to everyone else’s pics. Oh man, Steve, we are going to miss having you and your outstanding photos. I’m sure the WWII folks will appreciate having your talent among them.